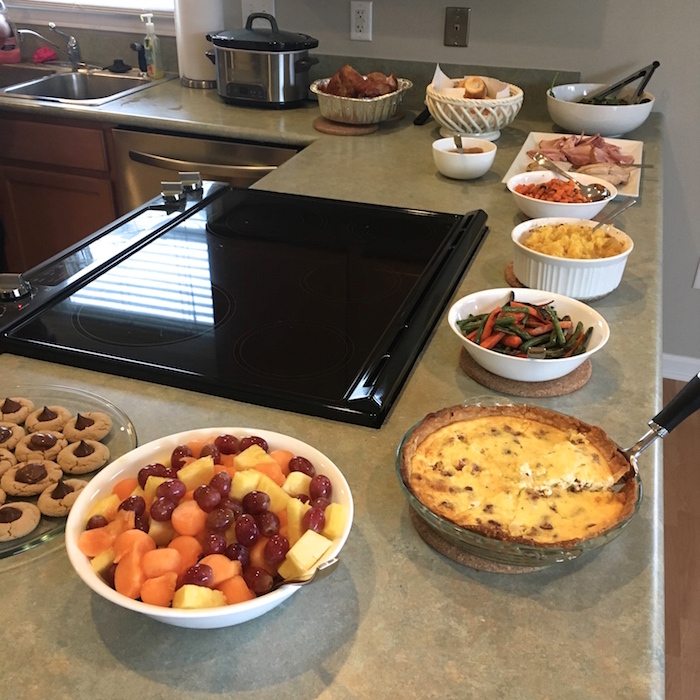 We have owned our house for about 15 months now, and in that time we have only ever hosted things for friends so this was the first time that we had family over for a meal making it more special! I don't get to do things like this often, so when I do I like to be festive! I only ever share pictures of our buffet where it looks pretty and unused, but now you can see that we do actually use it occasionally! 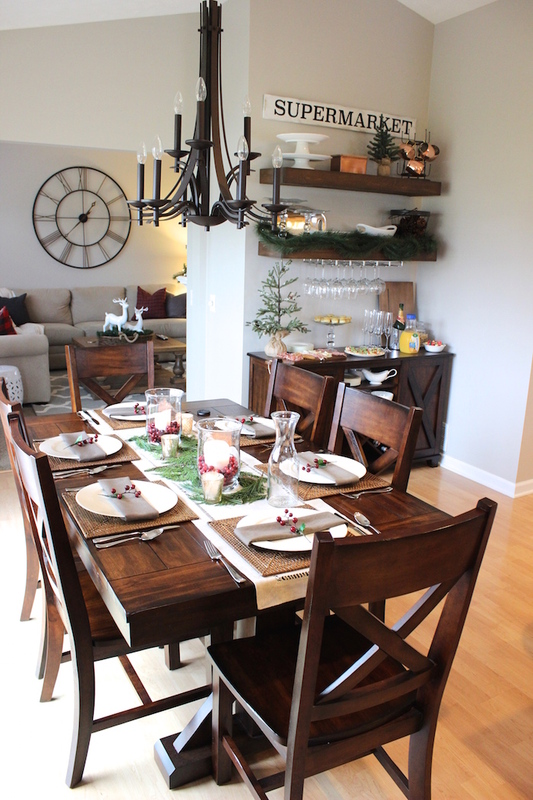 It makes a great place to display all of the appetizers...and mimosas! I don't think I've ever mentioned this on my blog, but I have a small obsession with glasses and dream of having a beautiful collection of all sorts of them one day, so adding mimosas to this weekend's menu gave me the perfect excuse to hit up HomeGoods and pick up some champagne flutes! It was a win win situation for everyone! As for the meal, we made ham, turkey, quiche, veggies, salad and more! Paul and I made everything together and I was pleasantly surprised with how much fun we had and how well we worked together in the kitchen. If only I could say the same when we do home projects! We sat at the table and ate and talked for nearly 3 hours, and it was really nice catching up with everyone! 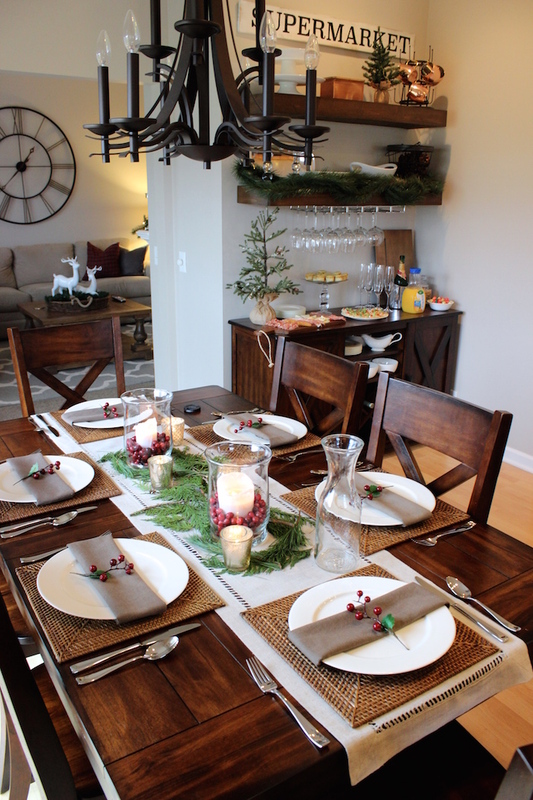 For the tablescape, I kept things simple and stuck with a traditional green and red color scheme. I picked up the fresh greenery from Trader Joe's, which is hands down my favorite place to get fresh blooms/greenery! To add red, I used fresh cranberries in the candle holder, making it a very inexpensive way to add color! 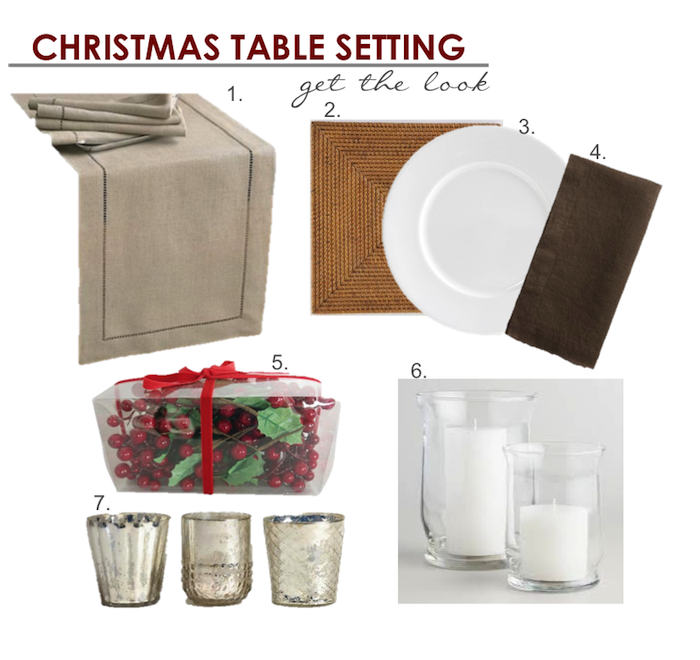 Just in case you wanted to create this look for yourself, I have included the sources! The cranberry picks that I used on top of the napkin I plan to also use when wrapping gifts this year! Paul wanted lot's of red used this year in our holiday decor, so he's getting it! Have a wonderful week friends!